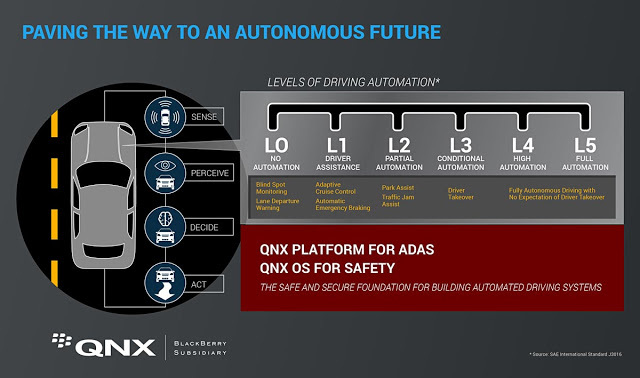 BlackBerry’s QNX revealed a number of new initiatives today at CES, most pertaining to the automotive flavour of the year: driverless cars. With a flurry of acronyms and partners, QNX said that it is working with companies like HERE for maps, Nvidia, Intel and Texas Instruments for chips, and iHeartRadio for entertainment. 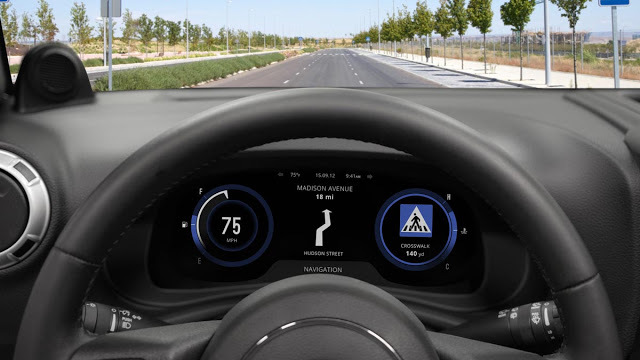 The system, which was demonstrated in customized Jeep Wrangler and Toyota Highlander models on the CES show floor, combines a variety of motion sensors, cameras and computing power to ensure safety when accelerating, navigating and making sub-second decisions. The system is founded on three tenets: advanced driver assistance systems (ADAS), vehicle-to-vehicle (V2V) communications, and vehicle-to-infrastructure (V2I) communications, all of which work in conjunction with what BlackBerry calls the “glass cockpit” display, an in-car infotainment and communications system that requires almost no physical interaction — just voice. With a wider release scheduled for the second quarter of 2016, BlackBerry’s QNX plans to show off more of its complete solution in the coming months. Both Qualcomm and Nvidia all showed off new automotive chips that will power the next generation of connected and autonomous cars this week, with the latter debuting a so-called “in-car artificial intelligence supercomputer,” the DRIVE PX 2.